Augmented Reality (AR) is an interactive experience that brings digital assets into the real world. In the previous post “Augmented Reality for Kids – Educational Magic to Enhance Imagination and Learning”, I discussed the potential of AR in different fields such as gaming, social media, healthcare and education, just to name a few. 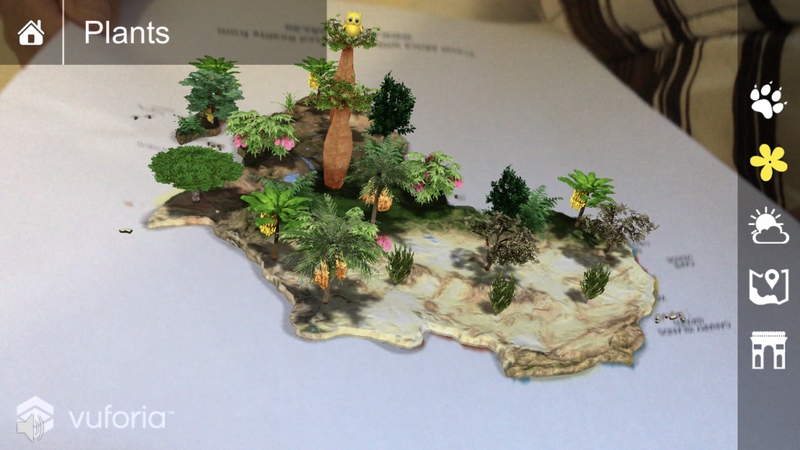 In this post, I continue to explore AR for education, but this time I want to share my findings on augmented reality for children’s books, another application of AR that again has so much potential and will fascinate kids in schools, libraries and at home. Nothing like a good book to make our imaginations fly and travel to places we never thought could exist. However, nowadays books are competing with technology and it can be so rare to see people reading “real books” these days. I take public transport every day and I can see how the other commuters are with their eyes and all senses in their own devices. Others are reading books, but not the paper ones, they are mainly reading digital books in electronic readers like Kindle. More digital books are selling in the different applications and online stores these days, and if you enjoy reading like me, you might have a Kindle unit with lots of books you can access from this convenient electronic reader. But these electronic readers are not enough to engage children with books because there are so many things around us competing for our attention such as videos, apps, social media, mobile devices, music, interaction with others online and so much more. That is why I think AR applications are a fantastic idea to get our kids interested in books and reading while learning and exploring printed materials that will come to life when we look at them through our mobile devices. Technology is a fun way to get our kid’s attention. Not only schools have to innovate their technological infrastructure to accommodate the new learning demands, but parents can do a lot at home to get their kids interested in topics such as nature, art, history, geography and all the school topics. One thing that we can do, is to get on board with technology using mobile apps and resources available online to interact with our kids, using AR technology and spending time together while learning in a fun and interactive way. Kids learn playing because they are having fun and they are using their imagination. Imagine how much they will learn if we can capture their attention with beautiful 3D graphics that will come out of smart books or any other physical plane used for the AR experience. How can teachers introduce AR into the classroom activities? The integration of augmented learning can be used to supplement the existing school curriculum. AR applications on particular school topics can help educators to individualize lessons according to children’s’ capabilities. The method of immersive learning benefits children’s individual learning styles and increases information retention and motivates learners, which will be reflected in better course results. For example, teachers and parents can create learning experiences for kids based on one particular theme, talking about animals in the jungle, then showing them a video of the jungle, or a story about the jungle or a movie. And then they could play with the kids using AR experiences so kids can see in 3D format animals in the jungle, moving, making sounds and even interacting depending on the immersion level of the application. Do I need programming skills? There are so many ways to experience AR technology. If you have some programming skills or curiosity for development, you could start by learning how to use ARCore, the Google software for creators of AR experiences. You don’t need to have high technical skills to use this app, because for some basic AR solutions it is not required to program long routines of code. But instead, you could use digital 3D assets already built in the Google library Poly, with the use of tutorials and the support of the community of users of this Google platform, you can have your own AR product. There are other options that are ready to use and still are affordable for parents and educators, such as the products of CleverBooks. 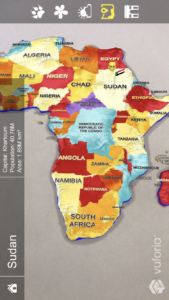 Products: Geography, Geometry and World map AR experiences and activities with puzzles, books and supporting documentation. Price: from around 8USD to the most expensive kit (520USD) that includes the entire range of products plus T-shirts that will be the canvas for the digital 3D augmented reality. Overall Rank: 85 out of 100 (just because there are more topics to cover such as arts and biology. But I’m sure they’ll incorporate more in their catalogs). These educational materials with AR are really easy to use, you just need to download the free app of CleverBooks from the Apple App Store or Google Play Store and point your mobile device to the book, printed material or poster provided by CleverBooks. The printed materials can be downloaded from their website or they can dispatch to the address you provide when you purchase the product. They have different educational materials supported with books or ideas to incorporate them into the curriculum. With CleverBooks is really easy to have different AR experiences running in the classroom or at home. The free apps also include test or quizzes to reinforce learning. Good graphics with nice colors and movement with some interactions through the app to change the view. For example, the world map has interaction so you can see the particular flora and fauna of a region, it will indicate the animal you are pointing, the name of the tree and the 3D assets move. They also have an app for geometry. They are so cute. My son really loved it. The apps and interactions are narrated by kids. The only bad thing I can think of is that it is not free but still it is affordable considering that you don’t need any programming or technical skills at all. Simply buy, play and learn. Their products are mainly for primary school teachers and for parents of young kids (maybe from 2 to 11 years) like me who like to play with their kids using technology. The products have supporting documentation and guidelines with extra ideas that teachers and parents can incorporate with the AR experience to make the learning process more robust and easy adaptable to the classroom activities. They provide some sample materials you can try before buying, simply register your email with them and they will send you resources you can print. 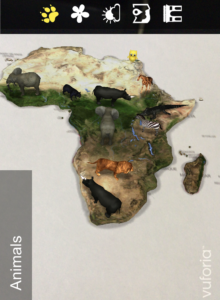 Download the free app and start the AR experience offered by CleverBooks. They also have resources and articles on their website you can download to learn more about the benefits of AR in education and for kids. They have videos with ideas from educators about how they implemented the products and they are also accessible via email. I really like the product because they make it is so easy to put in place an AR experience that is educational and add so much value, without needing any programming or technical skills. My little boy loved it, he was so impressed with it and he is only 2! He was looking at the normal piece of paper with the map and then the 3D animations coming through the phone. He was really trying to work it out. It was the real magic happening while learning. I can see kids enjoying these products a lot in the classroom. Teachers could also connect one mobile device with the app to a projector, so the entire class can see the AR experience at once. Alternatively, teachers could let kids explore the app by turns or in groups so they can share their experience and see 3D happening in the classroom. What do you think? Would you try something like this with your students or your own kids? Wow, this is so cool. I have never heard of this before. I think my kids would love this! Thanks for the tip. As a soon-to-be momma, I find this fascinating and a great way to incorporate learning with technology that isn’t just a video game. This is something new and wonderful that can capture the imagination of our young learners. I also believe this is a great step in bolstering the classrooms learning experience to keep up with the ever-evolving technology that does compete with for our attention. Thank you thank you so much for sharing this! Are there any other companies that are using this technology? Congratulations Angela! You’ll have so much fun with your little one. I love that it doesn’t require a lot of computer skills! It’s pretty awesome that they provide sample materials as well. I don’t see how you could go wrong by just trying it. I will share this with my daughter. I have 4 grandkids and think CleverBooks would be great for them. This was a very informative article and very detailed. I appreciate your honesty and you explaining every aspect of this children’s learning tool. I think it’s a great idea! Definitely a really easy way to start with augmented reality 🙂 thanks for commenting. Very very much informative article! Must I be prospective buyer of that book, then this would be the best site to buy through! what a great way to learn through seeing, doing & using imagination. Thank you for all the info, my friend told me about AR and i thought i would do some research. That’s great Garry. You might find a relevant application for the area of your interest. Hi Thais…..what an interesting concept “3-D books”…..With all my children grown and no grand children yet, I wasn’t aware of this new way of learning for kids. But, if I had kids, I wouldn’t hesitate doing this! I think it’s a wonderful concept and something that will catch on like wildfire! Good luck and thanks for sharing. I will refer your site to some friends who have grand children. Thanks so much for your comment! 🙂 I’m glad you like it and found this interesting. I hope your friends will like it too. I really appreciate you introducing me to CleverBooks and to the concept of Augmented Reality in children’s books. I wish I’d had access to something like this when my son was growing up. It’s so incredibly important to instill a love of reading and learning at a young age. I can see that this is a captivating approach and something I have to have for the grandkids. Thanks again for the info!